The NSTF Brilliants Programme recognises 18 first year students studying in the science, medicine and engineering fields. A young man and woman are chosen from each of the 9 provinces. These students must have received top marks in mathematics and physical science in the National Senior Certificate Examinations (grade 12) of the previous year. They are identified by the Provincial Education Departments, and selected by the NSTF. Top results in Grade 12 do not guarantee success. Many school leavers and even graduates struggle to find appropriate work and direction in their lives. This is a concern for SET industries, professionals and for the NSTF. In particular, the NSTF tries to encourage students to complete their studies in science or engineering as far as they possibly can (preferably up to PhD level). The NSTF also tries to motivate students to find their way into one of the many interesting and fulfilling positions in the National System of Innovation (which includes scientific research, engineering and industry). The Brilliants Programme consists of 18 bright first year students with a passion for science, registered at South African universities for SET-related qualifications. The NSTF requests the lists of top performers in physical science (in the National Senior Certificate) from all the provincial education departments. Two top students from each province are selected, a young man and woman, based on their performance in both mathematics and physical science, as well as their chosen field of study. Only students who matriculated at public schools are selected. 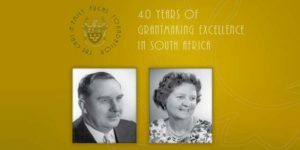 The Ministry and Department of Basic Education have given their support to the Brilliants Programme for many years. The Brilliants programme (previously called the Education Recognition Programme) has proven to be a valuable project. Many deserving previously-disadvantaged students have been inspired and motivated, as well as often helped to obtain bursaries. It is critical for the future of our country that enough good passes in matric maths and physical science are produced. Furthermore that some of these young people choose studies and careers in the sciences, medicine and engineering. If you would like to participate in the workshop to inspire and give advice to bright young people, or offer a tour of your facilities, contact the NSTF office on +27 12 841 3987 and speak to Ms Makwena Ramaru.